To build or not to build, that is the question! Are you thinking about building your home, but want to know a little more about what’s involved? Well, you’ve come to right place. Read on for some key things to factor into your decision on whether to build or not. Obviously there are less than reputable builders out there who will endeavour to get as much money out of you as possible. We’ve all seen the shows on TV exposing this type of tradesperson. 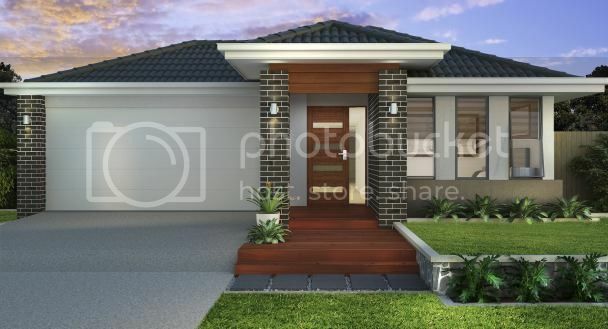 However, there are also very experienced and reputable companies who focus entirely on home construction, such as http://www.coralhomes.com.au. Companies like this offer fixed price contracts so you know exactly what you’re getting (right down to the door knobs) for your financial outlay. This is a great ‘no surprises’ way to build and you’ll also know exactly when your new home will be completed by. Additionally, new homes often offer better value for money. For example, by choosing a house and land package, you could find yourself buying a four bedroom home for the cost of an existing three bedroom house. You also have the added bonus of not having to worry about any repairs or renovations for many years to come. You’ll get loads of extra space, which is always incredibly useful, especially if you’re looking to start a family or your current family is growing. Lastly, landscaping is often included in these package deals, so literally all you have to do is turn the key and open the door to your new home. By choosing a builder who specialises in home construction, you’re benefiting from their years of experience. If you do something for long enough, you very quickly realise what works and what doesn’t. They also see first-hand what products will produce the best results and will go the distance. They will also usually have established relationships with suppliers and distributors of building products, which means they can negotiate better prices and pass the savings on to you. You’ll be surprised at just how affordable a new home costs to build and the high-end quality finishes that are included. Probably one of the biggest advantages to building is the opportunity to tailor your home to suit your needs and desires. Are you sick of living in homes that don’t utilise space to the maximum, have weird or outdated features, or don’t flow or function well? Imagine sitting down with a designer and choosing the layout of your home, the colours as well as all the fittings and fixtures? Sound too good to be true? Well it’s not, this is the standard process for building and it truly allows you to create the home of your dreams. Building your own home is probably far more affordable and easier than you previously thought. It also gives you the opportunity to customise the design and layout of a house, to suit you now and into the future. I wish I could build my dream home right now. getting ideas for your own dream home is much easier today with the help of the internet, but of course it requires thorough planning to go along with enough funds. It's really nice to live in our dream house, but it really costs a lot of money to do that. For now, I'm content living in our one-bedroom condo with the loves of my life.